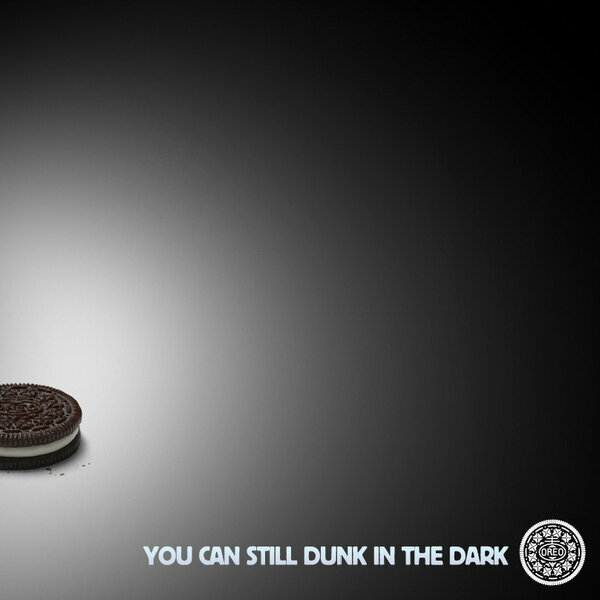 By now, many of you have heard of Oreo's social media grand slam during the Super Bowl. While all of us sat through that lengthy delay due to the power outage, Oreo's social media team unleashed the tweet heard round the world. The tweet read: "Power out, No problem." The tweet included the photo shown here. 15,000 people retweeted that simple message. More than 20,000 people "liked" it on Facebook. Oreo's Instagram followers mushroomed from 2,000 to 36,000. What a terrific story! I love the fact that preparation yielded such a great result. They knew that the Super Bowl represented a unique opportunity. While so much attention is focused on the television ads, social media represents a huge opportunity at low cost. With the blackout, everyone took to Twitter. The volume of tweets exploded. That posed a challenge for many firms though. How do you stand out when the Twitter world suddenly became so crowded. Being prepared and ready to move so quickly turned out to be a tremendous advantage. 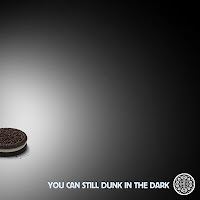 Notice that Oreo did not try to be controversial or outlandish. They stayed true to the brand. So many social media and television advertising efforts associated with the Super Bowl yield poor results, because they emphasize being funny or controversial at the expense of communicating an authentic and consistent message about the brand. Think about some of the ads you saw this weekend. How many times did you think to yourself: While that ad was funny, I'm not sure I know what it has to do with that product or brand. The volume of tweets exploded. That posed a challenge for many firms though. How do buy instagram followers yahoo answers you stand out when the Twitter world suddenly became so crowded. Being prepared and ready to move so quickly turned out to be a tremendous advantage. Think about some of the ads you saw this weekend. How many times did you think to buy instagram followers yahoo yourself: While that ad was funny, I'm not sure I know what it has to do with that product or brand. If only more businesses can have some sort of central command like Oreo, right Michael? That being said, I agree with you that the one simple tweet they made deserves commendation for being quick, witty, on point, adaptive to what was going on at the time and true to their brand. When it comes to social media marketing, the last two points are very important. Should You Examine All Your Options At Once? Business Plans: useful or not?